Image Hosting is a specialized file hosting service whereby only image files are being stored on the server. This allows for easy and unrestricted sharing of images, graphics and other materials, which can be conveniently used for example on various online forums, ecommerce platforms, etc, which usually disallow the uploading of images and photos of very large size and resolution for the purpose of decreasing bandwidth. 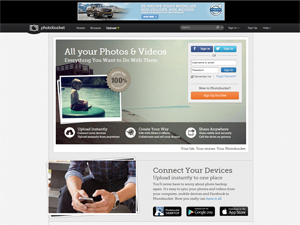 Photobucket offers mobile sharing, Twitter and Facebook integration and also access to an online photo editor. Free users are limited to 2GB of online backup and up to 10GB of bandwidth each month. Paid service depends on how much storage you will need. 20GB is $2.99/month, 50GB $4.99/month, 100GB $8.99/month, 200GB $16.99/month, and 500GB $39.99/month. 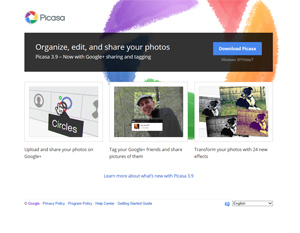 Picasa offers users a "Web Albums" option, that allows users to store free 1GB of photos online. 25GB account for $2.49/month, 100GB for $4.99/month, 200GB for $9.99/month, 400GB for $19.99, and 1TB for $49.99. 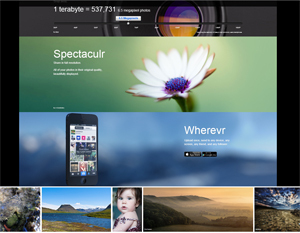 Flickr is one of the the most popular image hosts. Flickr offers easy sharing and the massive volume of pictures using an online backup option. A free account allows up to 300MB of images and two videos per month, while a Pro account includes an unlimited amount of images and videos. Pay $6.95 for a three-month subscription; $24.95 for a year; or $44.95 for two years.